Provide comfort for the family of Robert Brethauer with a meaningful gesture of sympathy. 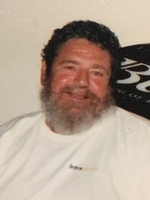 Robert Russell Brethauer passed away February 6, 2019, surrounded by his loving family. He was born September 24, 1942, in Saginaw, the son of William and Hazel (Northrup) Brethauer. Robert was the oldest of five children. On April 21, 1980, Robert married the love of his life, Shelby Jean, and she preceded him in death on October 29, 2010. 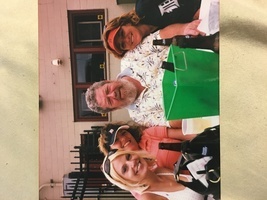 Robert is survived by his three beautiful daughters; Candy (Larry) Valentine, Cindy (Tom) Malachowski, and Jennifer (Jason) Bennett, five handsome grandsons; Ryan, Keith, Larry III, Logan, and Chase, and, one great grandson, Larry IV. A veteran, Robert proudly served his country in the 101st Airborne. Robert was loved by family, friends, and everyone who met him. Robert and Shelby ran a successful business, Duvall Paper Products, in Detroit for 27 years. Together, they had a true love story and were married for 30 years. Robert and Shelby were long time members of the Lake St. Clair Walleye Association. They were also active in the AMVETS, VFW, Eagles, and always helped out with local events and fundraisers. 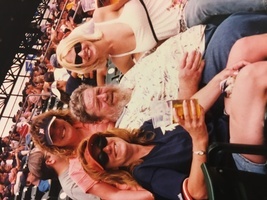 Robert was an all-around Detroit fan who loved the Tigers, Lions, and Red Wings. He always celebrated life, loved to tell a joke, and made an impact on everyone he met. He was an avid bowler which earned him recognition around Saginaw. 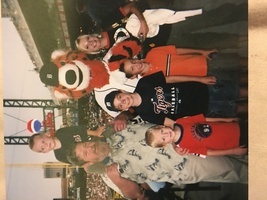 Robert loved hunting, fishing and spending time with his family. He is also survived by two brothers; Duane (Nancy) Brethauer, William Jacob (Marie) Brethauer III, and, brother-in-law, Robert Durek; and their loving families. He was also preceded in death by his parents, brother, Ed (Unkie); and sister, Mary Louise. Per Robert's wishes, cremation has taken place. Please join the family as they celebrate Robert’s amazing life and legacy in a service at a later date. Please visit www.williamsgoresfuneral.com to share a memory or leave a condolence message for Robert's family. To send flowers in memory of Robert R. Brethauer, please visit our Heartfelt Sympathies Store. Provide comfort for the family of Robert R. Brethauer by sending flowers. Cindy, Candy n Jennifer. So very sorry for your loss. We loved your dad. You are all in our thoughts and prayers. Much love, Janie and Jerry Hoelscher. Our deepest sympathy for your family. Our thoughts and prayers are with you. I have some good memories of Robert.